With four seasons of adult softball hosted by the City of Richardson’s Parks and Recreation Department, there is almost always action on the local diamonds. This can be a fun activity for men and women across our community, but “weekend warriors” and older participants need to be careful and follow some tips for preventing Achilles tendinitis and other common injuries. 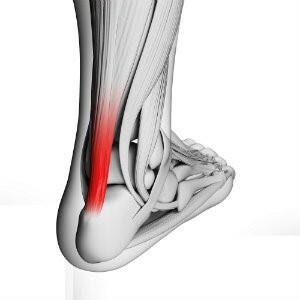 Achilles tendinitis is a condition that develops from either intense or repetitive strain on the Achilles tendon. This tendon is used every time you walk, run, or engage in other high-impact activities. It can become inflamed, but there are ways to prevent this problem. Make wise shoe choices. When you engage in physical activities, it is essential that you wear shoes that are appropriate for the sport or workout and fit correctly. Athletic shoes should be well-constructed and feature firm arch support and ample cushioning. Ease into activity. Many injuries are sustained when individuals attempt to do too much, too soon when it comes to a new workout program or sport. It’s important to start slowly and then gradually build up intensity and duration over time. Prepare and protect your tendons. Beyond easing into a program, be sure to warm up, avoid activities that are too stressful for your Achilles, and always stop and rest if you become aware of pain. Strengthen and stretch your muscles. Stronger calf muscles make it easier for the Achilles tendon to handle stresses that come with physical activities. Stretching daily—Achilles tendons and calf muscles—will help maintain flexibility and, even better, prevent a recurrent condition from developing. It is important to keep in mind that even the best tips for preventing Achilles tendinitis and other sports injuries aren’t infallible. This means that there will always be a certain degree of risk that comes with staying physically active. Of course, the guaranteed benefits of a regular workout program far outweigh the possibility of sustaining an injury that will likely heal with conservative treatment. Has sports or physical activity led to a foot or ankle injury? Richardson Podiatry Associates is here to help! You can find out more by calling (972) 690-5374 and talking to one of our helpful staff members. If you know that you definitely need treatment, or simply want to come in and see us in person, you can schedule an appointment with our Richardson, TX office online today.